Cue the most amazing designer invitations, real vintage accessories, fabulous locations and of course wonderful wedding photography. My friend Mark from Evolve Photography in Devon submitted today’s real wedding to share with you and I’m super excited to publish it on the English Wedding Blog this morning. Shall we begin? Grab a cuppa – vintage china will do nicely! – and enjoy. Spring is truly in the air at English Wedding Towers this morning as I have one of the loveliest weddings of the season to share with you… a heartwarming May wedding for a gorgeous bride and groom, starring their adorable 13 month old daughter and flower girl. Dan and Emily styled a charming village fete wedding in a marquee at Emily’s parents’ house, and combined their day with their daughter’s christening. 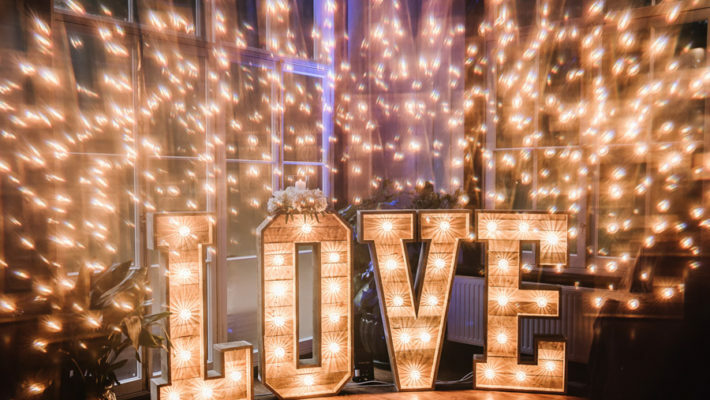 Despite having a lovely little person in their lives, they found time to incorporate a ton of homemade styling touches into their day to transform a simple marquee into a charming and welcoming wedding venue. Dearest lovely blog reader… do I have a treat in store for you this afternoon! Courtesy of Petra Opperman Weddings and a cast of the very best in wedding design, this exclusive ‘Get the Look’ feature comes hot on the heels of this morning’s styled bridal shoot from the Hurlingham Club. The Hurlingham Club has a magnificent arched ceiling your guests will love – it’s a blank canvas with plenty of natural daylight for wedding photography – and needs little decor to create the most luxurious wedding reception space for your luxury celebration. It makes me incredibly proud to see some of the superb talents we have in the English wedding industry. I love to showcase exceptional suppliers, and one of the very best is the inimitable Petra Opperman. Huge thanks are due to the fabulous suppliers who collaborated for this shoot. A full list is shown just after all of the images below, but to begin I must thank lovely wedding stylist Petra Opperman, and fabulous photographer (and brand new Dad to a beautiful baby girl!) Matthew Bishop Photography. 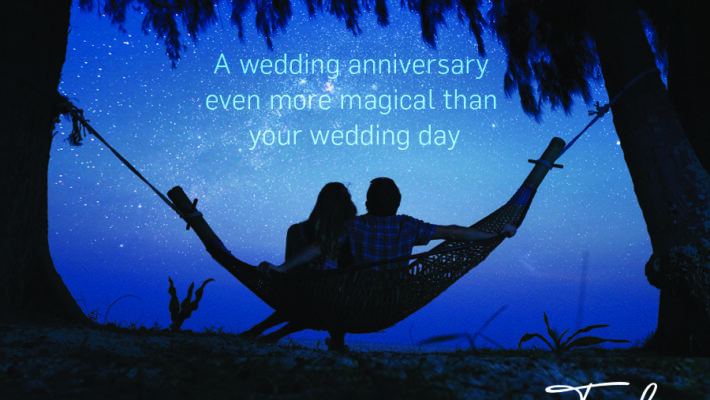 Good morning lovely wedding blog readers! I hope you’re really really well and looking forward to the day ahead. Don’t work too hard! I have a very quick notice for you today – for any of you waiting for brand new blog features to be published at my usual time of 11am, there will be an awkward silence at this time… oh no! But don’t despair… being an early bird I’m bringing forward my blog features every day and will now be publishing at 10am instead. Why? So you have an excuse for biscuits earlier 🙂 and so will I! 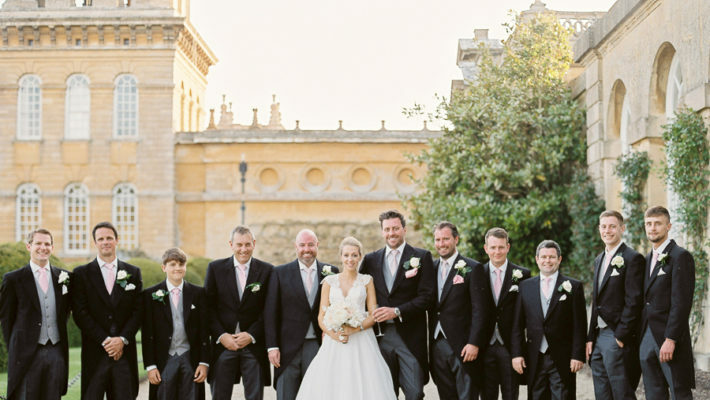 Here’s a sneak peek for you… this real wedding is coming up in just over an hour! A sneak peek from Joanne and Phil’s vintage wedding at Cooling Castle Barn, on the English Wedding Blog this morning from 10am! I was so thrilled for my friend and featured wedding photographer Suzy Mitchell when I found out she’d won a major award in wedding photography. Suzy has featured on the English Wedding Blog many times and I’m delighted to be able to share her news with you all today. Every year The Guild Of Photographers holds a competition for the Photographer and Image of the Year. 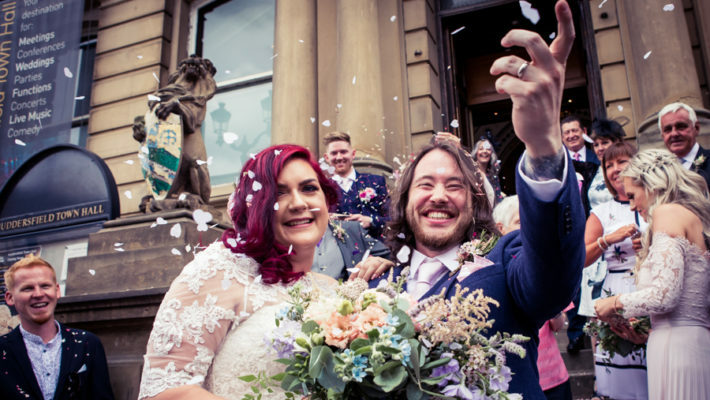 In 2014 over 10,000 images were submitted so it’s really something for Suzy to have come away with such a great award – only two wedding images were chosen as winners, and Suzy’s was the overall winner in documentary wedding photography. I’ve fallen head over heels for Abi and Ben’s fresh and exciting take on wedding stationery. Their simple but oh-so-creative illustrations are just wonderful. I adore their use of strong ink lines with the most delicate watercolours… and I have a feeling you’ll be charmed by them too! Discover Dearly Beloved on the English Wedding Blog! Dearly Beloved are a South West based design company with a fresh approach to wedding stationery. Today I have the pleasure of featuring a gorgeous styled shoot submitted by bridal couturier Melanie Potro. Melanie’s gowns are divine – combining modern shapes and styling touches with the most exquisite fabrics and wonderful attention to every last detail. Every modern bride should discover and try a Melanie Potro gown… they’re simply fabulous. Images were captured by the award winning Hannah McClune Photography assisted by Alice Hudson. The shoot took place at Hedsor House in Buckinghamshire and was styled around a colour palette of monochrome and gold with a hint of mint green. Wedding planner Rachael from Serendipity Weddings designed the sequinned table plan and styled a confetti bar for guests as well as styling the entire shoot. The dress is the beautiful ‘Alana’ gown by Melanie Potro Bridal Couture, modelled by Meg O’Duffy. Meg’s elegant up-do and glamorous makeup were the handiwork of artist Liz Patey and her hair was finished with a playful gold bow from Polly McGeary. Groom Henry Morris looks gorgeous in a tuxedo loaned by Stephen Bishop Suiting. 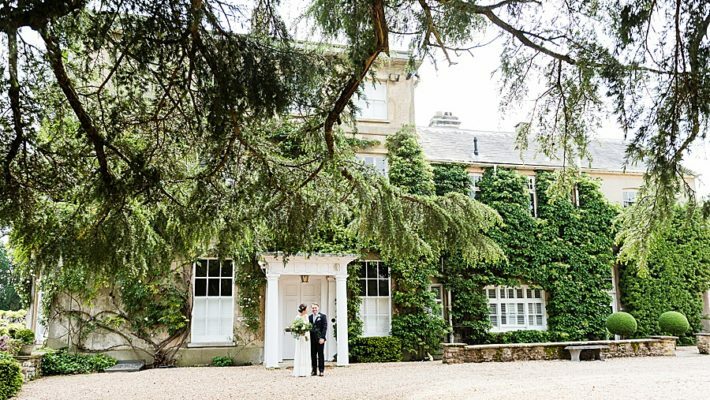 Life is never dull at the English Wedding Blog HQ, and today is certainly one of the brightest… I have something very, very different to share with you this morning. Earlier this month I shared a timeless bridal style shoot by Team Glam. They’re a group of eight bridal hair and make up specialists whose vision is to inspire brides to discover amazing, reputable suppliers – and they like to have fun in the process! It’s an essential part of any wedding supplier’s work to explore styles which are that little bit different, to push boundaries and innovate. Today’s Team Glam feature is an exceptionally creative magazine-style bridal shoot simply bursting with colour. The best thing about today’s shoot – as with every shoot I feature – is that it could be all yours. Shoots are all about showing couples how amazing a wedding can look when you hire the right team to style your wedding day. Every supplier featured today comes very highly recommended because I’ve seen and loved their work over and over again. Holly and Chris are the loveliest couple, and so gorgeous, both of them! I’m delighted to share their outdoor wedding with you today – it totally brings back those long summer days! Their theme was English country garden, with soft pinks and even an iced croquembouche to match their colours! 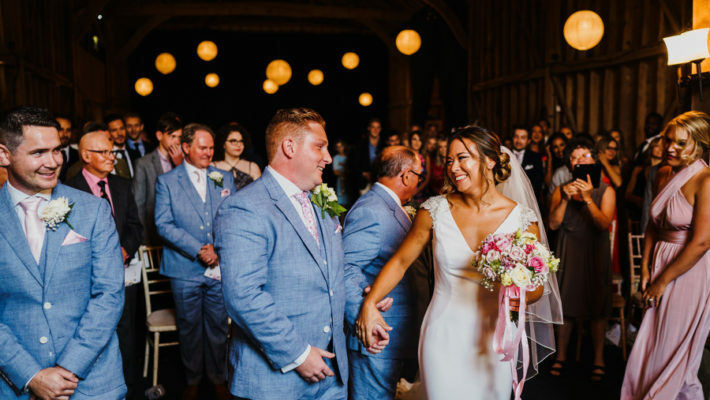 Holly found her dress in a closing down sale and fell in love with it – after alterations were made by the girls at Pure Couture it looked incredible and she’s such a beautiful bride! Bridesmaids wear dresses found on Etsy with straps which can be worn in different ways – a lovely way to please all your best girls, don’t you agree? 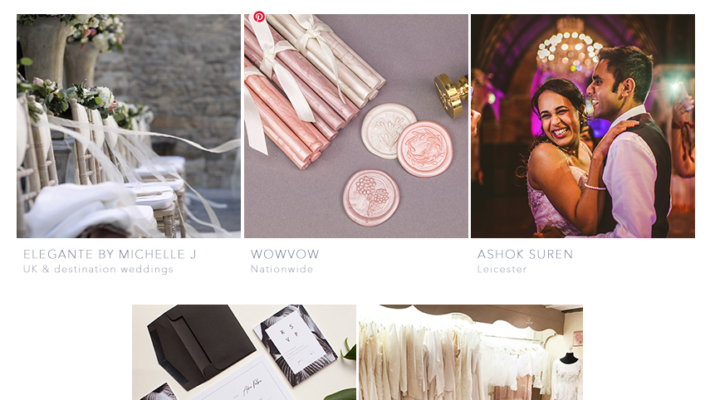 Open weekends, specialist and niche wedding fairs and supplier collaborations have totally taken over from wedding shows and I think I’ve just discovered the very, very best wedding event you could possibly go to. Think countryside and springtime, teepees and tents, plus styling tips and examples of the very latest wedding trends… and you’re almost there. If you’re free on the 21st and 22nd of March then make a date in your diary to be in Yorkshire at the PapaKata open weekend. You’ll both have an amazing time, I promise!